Vancouver, British Columbia – A.I.S. 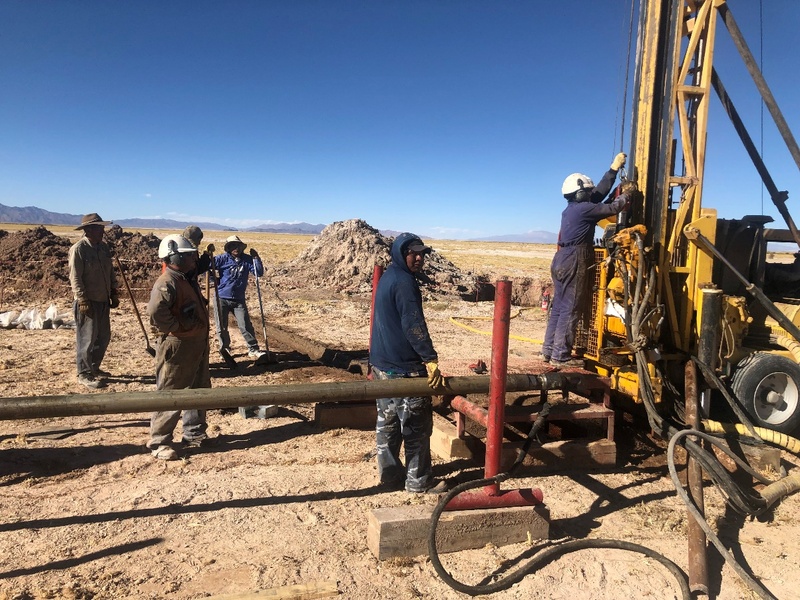 Resources Limited (TSX: AIS, OTCQB: AISSF) (the “Company” or “AIS”) announces that Hidrotec Drilling has completed 43m of drilling and has cemented the steel casing in place at AIS’s Salinitas joint venture project with MGX Minerals Inc (CDN:XMG). 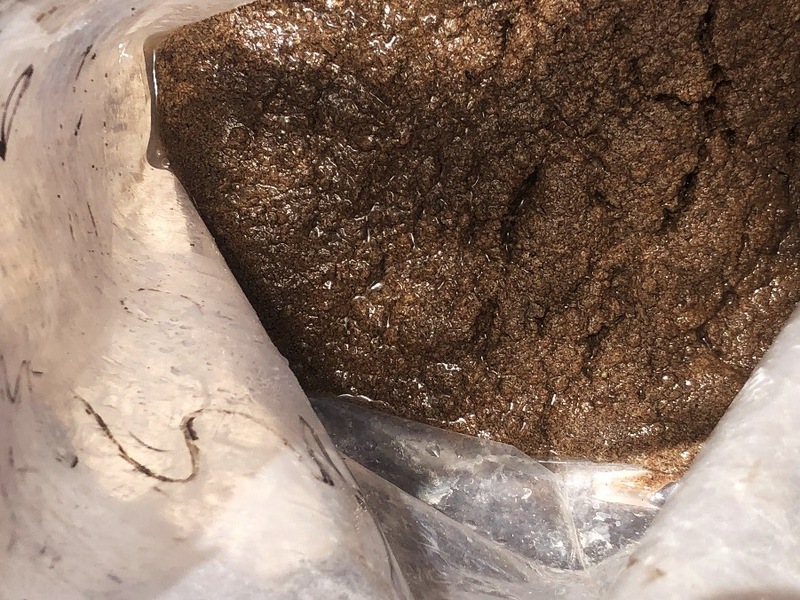 Samples taken from the 43m interval show a porous coarse sand which is conducive to the transmission of brines. The trenching program confirmed the presence of porous sands. The resistivity of these sands is expected to be encountered at depth. Phil Thomas, AIS CEO and Exploration Geologist said he was delighted at the speed the roads were constructed, the availability of water beside the drill hole location and the gracious attitude of the surrounding communities at the pre-mobilization meeting on November 16, 2018. Figure 1 – Shows drilling a 6 inch well for the steel casing that went in on 25th Nov 2018 before they diamond drill HQ diameter core. The casing is to prevent a collapse of the well in unconsolidated sediments as brine pressures at depth are significant. Figure 2 – Shows the dark purple area in the TEM survey shows resistivity values that are less than the value for salt water implying the presence of other elements in the brines. Figure 3 – Shows sandy unconsolidated sediments from the 43.7m level in DH1. Figure 4 – Road into the drill site showing Salinas Grandes salar in the background. Roads used by Bollare (now Eramet) to drill and still in perfect condition only 11km away. The Salintas Project with MGX (CDN:XMG) is a joint venture where MGX have agreed to fund CAD$1.2 million in works for an 80% interest over the next two years. Subject to brine composition and flow rate, it is our intention to put in a production well to be drilled in either drill hole 1 or 2 for a 30-day pump test. The budget for a two-hole program including post hole analysis and reporting is approximately US$400,000. If the project is a success, another 4 wells will be drilled to production dimensions. Salinas Grandes has been explored with positive results by Orocobre in 2011 and is currently being explored by other Cateo holders nearby. A.I.S. 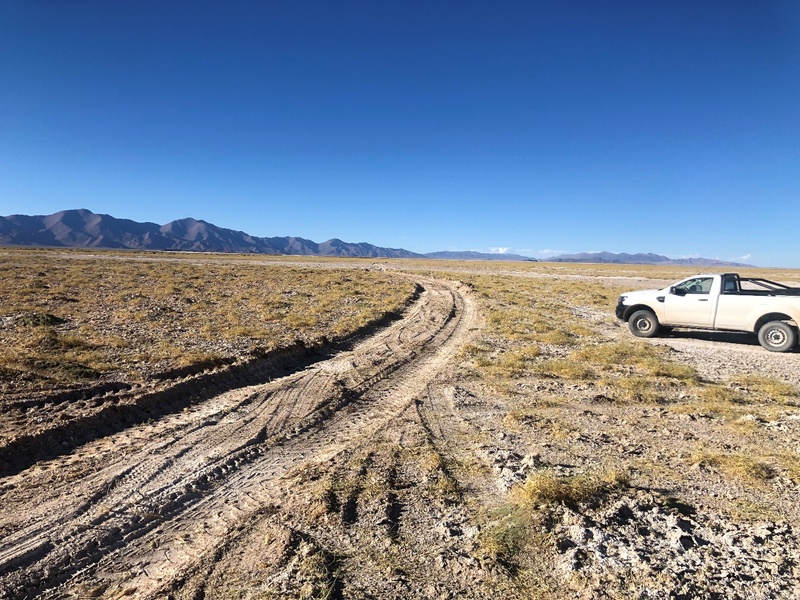 Resources Ltd. is a TSX-V listed investment issuer, was established in 1967 and is managed by experienced, highly qualified professionals who have a long track record of success in lithium exploration, production and capital markets. Through their extensive business and scientific networks, they identify and develop early-stage projects worldwide that have strong potential for growth with the objective of providing significant returns for shareholders. The Company’s current activities are focused exclusively on the exploration and development of lithium brine projects in northern Argentina.